This week's City Scene found three nice studios where you can have some fun DIY and pick up fresh gift ideas. DIY workshops have been booming in the city, places where people can chill, learn a hobby or, more meaningfully, create a hand-made present for a special person. As the Mid-Autumn Festival approaches, specially-crafted hand-made gifts can be a thoughtful treat for family and friends. We found three nice studios where you can have some fun and pick up fresh gift ideas. If. Dream. Catcher is a leather DIY studio hidden in the alleys of Tianzifang on Taikang Road. A former English teacher, Janson Sun opened If. Dream. 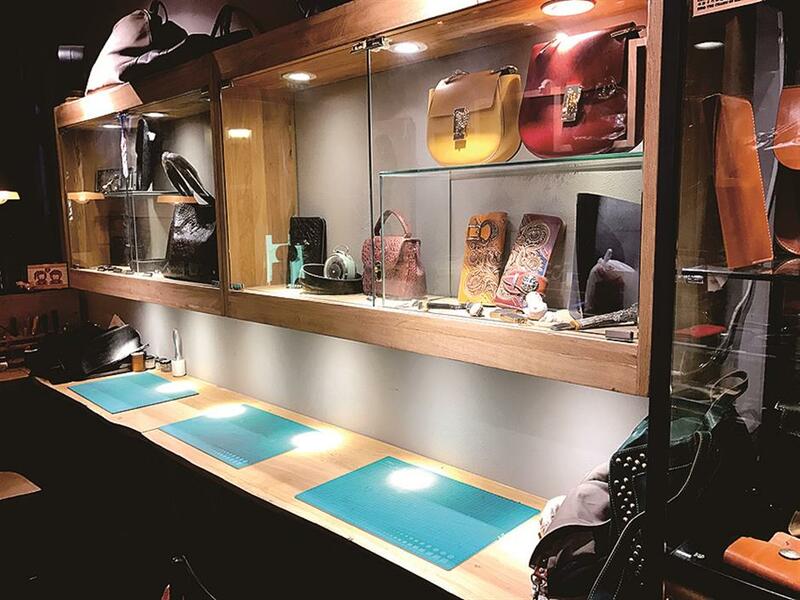 Catcher, a leather DIY studio hidden in the alleys of Tianzifang on Taikang Road. Falling in love with the leather making in his freshman year, he decided to follow his passion for the craftsmanship and started his own business with his wife about two and a half years ago. Spread over three floors in an old villa in Tianzifang, the shop can accommodate about 20 people at one time. But you have to make reservation, otherwise you are most likely to find a locked door. You can choose from existing samples, or more challengingly, bring your own ideas and designs. Most basic level leather items, such as wallets or card holders, can be completed within a few hours. Some items like Cambridge satchel bags or clutch bags require more time and skill. Here, you can also learn from scratch — starting from making the pattern, to cutting the leather, to stitching and polishing. To some extent, the studio is more like a hobby group at university for Sun and his customers, chatting and having fun together. 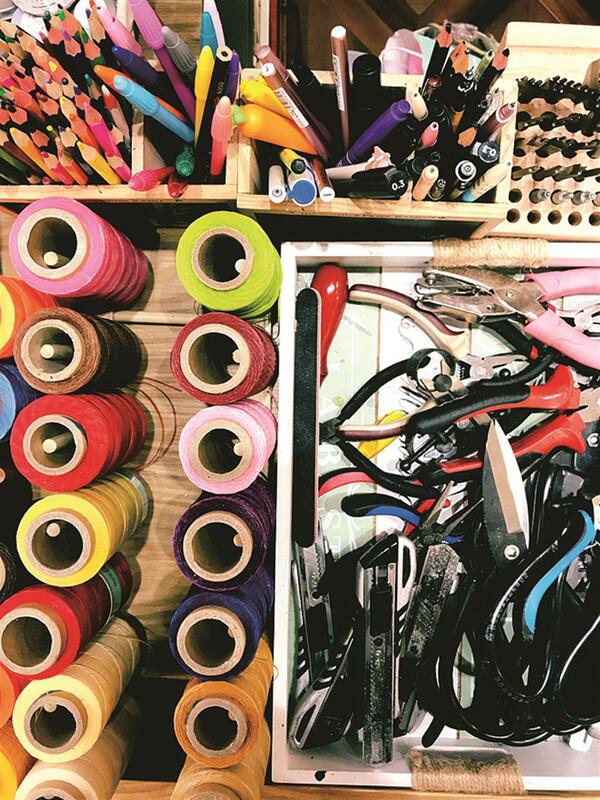 A natural socializer, Sun likes to share tips as how to harness the skill, such as “the shape of the holes for stitching is a bit long at a 45 degree angle, rather than just circular,” he said. The style is now adopted by many renowned leather good brand, like Hermes. Warm DIY offers a variety of rings, necklaces, wristbands, hairpins and accessories made with silver and gold. Jewelry-making may sound difficult. But that is not always the case. Warm DIY is a studio that helps you create a special gift for your beloved ones. 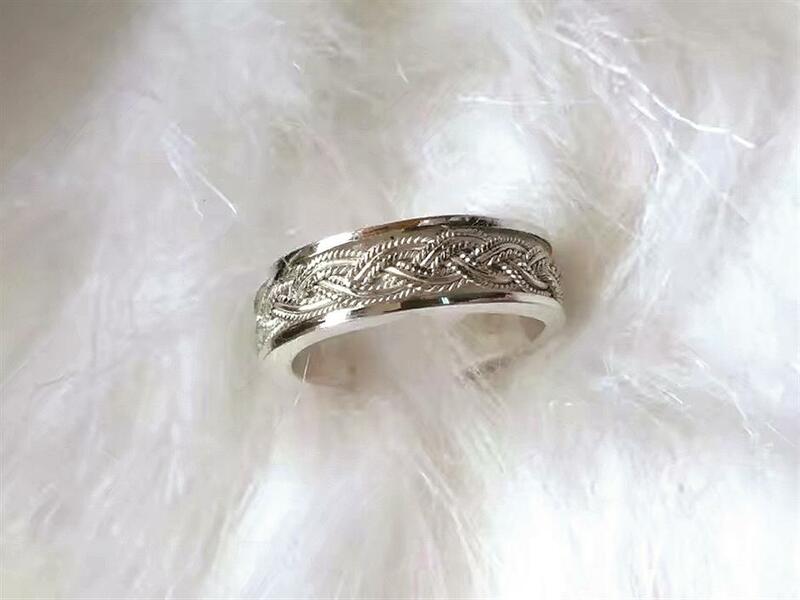 Relocated to the newly launched Village 68 in CITIC Square, the small yet friendly studio offers a variety of rings, necklaces, wristbands, hairpins and accessories made with silver and gold. At the entrance of Village 68, the exquisite filigree works are displayed. The collection is made by Angie, the studio’s owner, who learned the intangible cultural heritage from a master. Generally, a session for a basic ring or bangle lasts 2-3 hours. Choose a style from the catalogues or samples, and an instructor will guide you through the process. Reservation is strongly recommended at weekends. The shop can accommodate 13 customers at most. Address: 4/F, 468-19, CITIC Square, 1168 Nanjing Rd W.
Bead-making is a classic activity in Summer House. Opening more than five locations in three years, Eason Sun started Summer House, a DIY operation, straight after graduating from university. According to Sun, he wants to provide a place where people can spend time and pursue their own hobbies. Summer House offers almost all kinds of DIY items, from leather to lipsticks and preserved flowers to crafted candles, bead-making and paper-cut lamps. Bead-making is a classic activity, which is also suitable for children aged 3 and above. Beads are stored in dispensers similar to those in an M&M shop. Along with another four DIY activities, you can stay as long as you want and take the artworks you create home when finished, for 98 yuan (US$14.9) per person. Summer House also offers discounted group buys and class bundles. Every week, each branch introduces a new DIY program to cater to various customers.